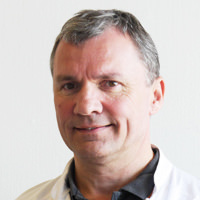 Claus Moser MD and PhD is an associate professor of Medical Microbiology at the University of Copenhagen and is also working as a consultant clinical microbiologist at the department of Clinical Microbiology at Rigshospitalet in Denmark. In addition to his clinical work, Claus Moser is supported by a research grant from Novo Nordisk Foundation for 5 years to part time perform translational research in biofilm infections, including infectious endocarditis. 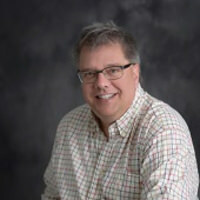 He has published in the area of chronic lung infection in CF, infectious endocarditis and chronic wounds and other biofilm infections – with special focus on the interplay between host response and biofilm infections, and optimizing the antibiotic treatment of biofilm infections. Claus has been involved in diagnosing and treating patients with infectious endocarditis for several years. Dr. Bundgaard is a clinician, specialized in intern medicine and in cardiology. For his PhD and doctoral thesis he continued the Danish tradition of research in Na,K-pump regulation, partially during his fellow-ship in invasive cardiology at Royal North Shore Hospital, Sydney, Australia. This interest in molecular and cellular physiology led him into genetics and he has been a central figure in the development of cardio-genetics in Denmark and established The Capital Regions Unit for Inherited Cardiac Disease. Cardio-genetics shares many of the principles applied in personalized medicine and in 2017, dr. Bundgaard became leader of one of the first Danish Clinical Academic Groups, a close translational collaboration between several departments at University of Copenhagen and the departments of cardiology in the capital region; Precision diagnostics in cardiology. Clinically, Dr. Bundgaard has maintained a strong interest in intern medicine and has focused on management of patients with infectious endocarditis for several years. Together with the head of Department Microbiology, Rigshospitalet, Dr. Claus Moser, dr. Bundgaard has contributed to the development of a rat model of infectious endocarditis. The model is used for development of potentially new treatment strategies in endocarditis. Dr. Iversen and dr. Bundgaard were PI’s on the POET trial, another example of more personalized medicine. He has published around 200 papers. He has a long-lasting interest in Greenland and sees heart patients there on a consultant basis. Dr. Bundgaard is heading a project aiming at offering broad access to tertiary level cardiology in Ghana, West Africa. Kasper Iversen MD, DMSc is associate professor at the University of Copenhagen and head of a research unit at Herlev-Gentofte Hospital. His primary research interest is heart valve disease including endocarditis, risk assessment and biomarkers. He has authored more than 90 papers published in peer reviewed medical journals and has supervised numerous phd- and medical students. 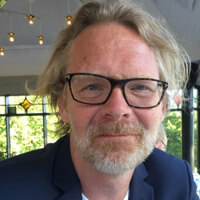 Kasper Iversen is the co-head of several clinical studies including the large scale population study of newborns in the Copenhagen area (The Copenhagen Baby Heart study). Besides research Kasper Iversen has extensive experience in diagnosing and treating infective endocarditis. He anchors the endocarditis unit at Herlev-Gentofte University Hospital and handles more than 70 patients with infective endocarditis yearly.